The Marine and Fisheries Division of the Welsh Government awarded Plum Design a contract to produce 4 animations explaining various aspects of Marine Planning in Wales including; an overview of Marine Planning in Wales; Marine Protected Areas, The Marine Strategy Framework Directive and the Common Fisheries Policy. These animations are being used at shareholder meetings and on their YouTube channel to explain the upcoming changes to Marine Planning in Wales. Although the subject matter is in parts dense and quite technical, we have created storyboards and graphics that flow effortlessly, keep the viewer engaged and, most importantly, informed. Another important part to the success of the animations has been the ability to capture essences of the Welsh coastline that people can easily connect and identify with. Overall, the animations have hit a balance between informing and entertaining the viewer. We're glad to say that the animations have had a very positive response from the Marine and Fisheries Division and others who have seen the latest animations. 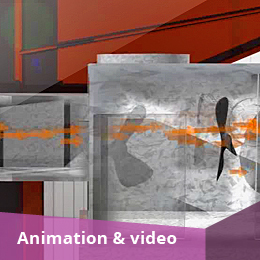 The animations will play an important role in explaining the marine policy for Wales to shareholders and public at large. This has certainly been a challenging project and I would like to place on record my appreciation for the way you have worked with us and nursed us through the process for this has been every bit as important as your creative input. May I once again take this opportune moment to thank you for your hard work on this project - many people are impressed with the final results! 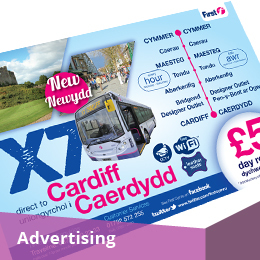 To promote a new bus service between Cymmer to Cardiff. 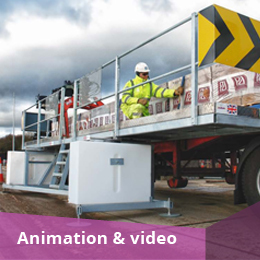 To produce a short sales video to demonstrate how quickly the Loadsafe platform could be deployed and used in a construction site environment.